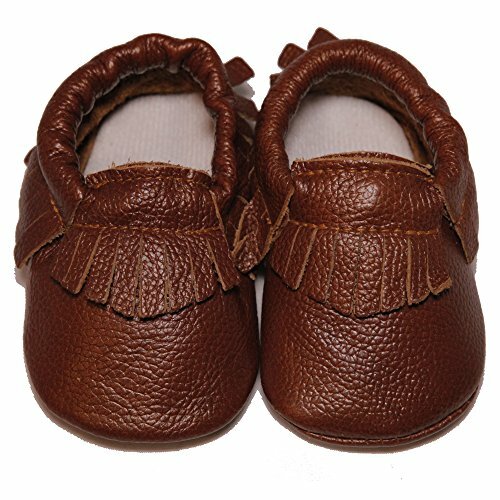 These Baby Conda Leather Baby Moccasins are made of premium Leather. Each shoe is hand made. The shoes have a leather upper and leather Soles. We stand behind every product we make and if you are not 100% satisfied you can return the shoes for a full refund. Hand Made Leather Moccasins Co-ordinated Leather and Stitching. Premium Soft Leather Moccasins, Leather Soles and Leather Uppers. Mutiple Colors Available 100% Satisfaction Guaranteed Zero Hassle Returns - Return your shoes for any reason Elastic around the shoe opening to help keep the shoe on.